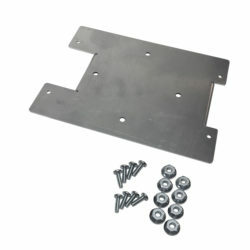 View cart “TRIGGER ACS Jeep JK Overhead RF Remote Bracket” has been added to your cart. 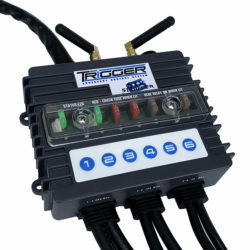 The Trigger 4 Plus Wireless Accessory Controller substantially saves installation time of your electronic accessories! Eliminate the need to run wires under the dash or through the firewall of your vehicle when wiring accessories. 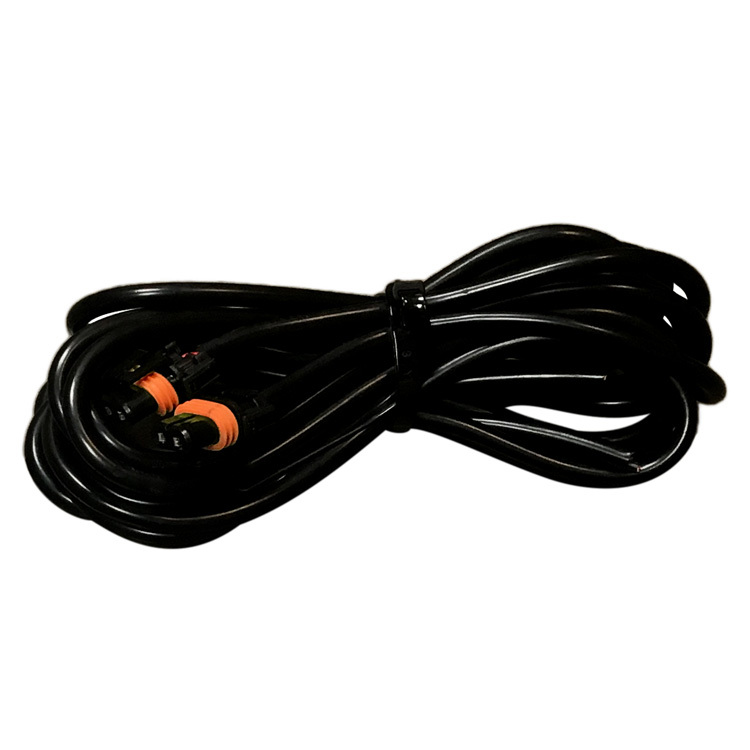 Includes an RF remote control for wirelessly activating installed accessories from inside or outside the vehicle. 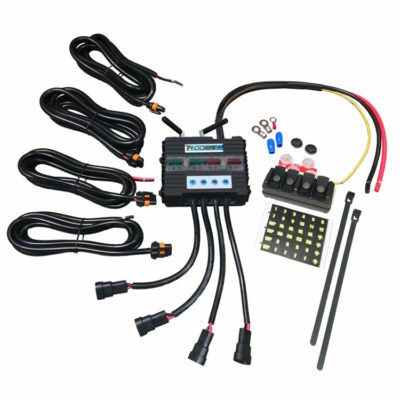 In addition, fused circuits with LED indicators notify you of active circuits or blown fuses. 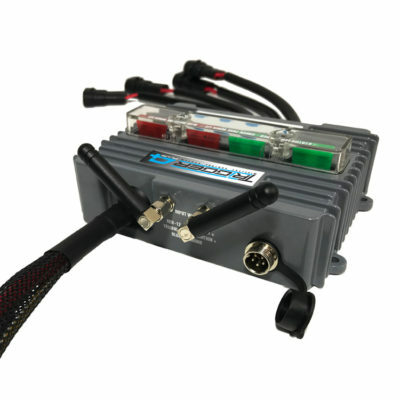 The included battery-powered RF remote utilizes a universal mounting system that will accommodate round surfaces as well as flat surfaces. 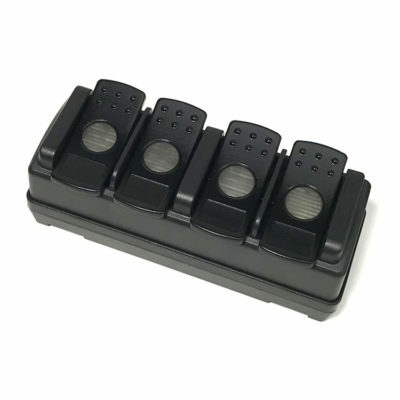 There is an ambient back-light (illuminating the space around the switches momentarily) and it can be re-programmed for security or use with additional remotes; Several Trigger 4 Plus Wireless Accessory Controllers can be used together to control up to 24 accessories. 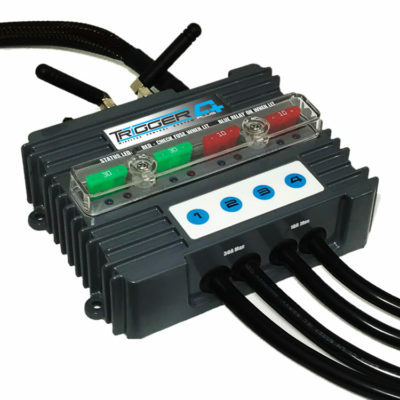 When mounted to a UTV roll bar, the buttons on the remote are more easily accessible than dash switches. 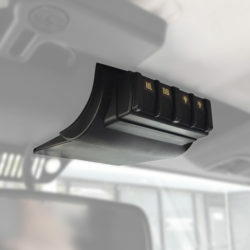 No straining against seat belts to reach the dash, just a quick reach up to flip a switch on the remote. 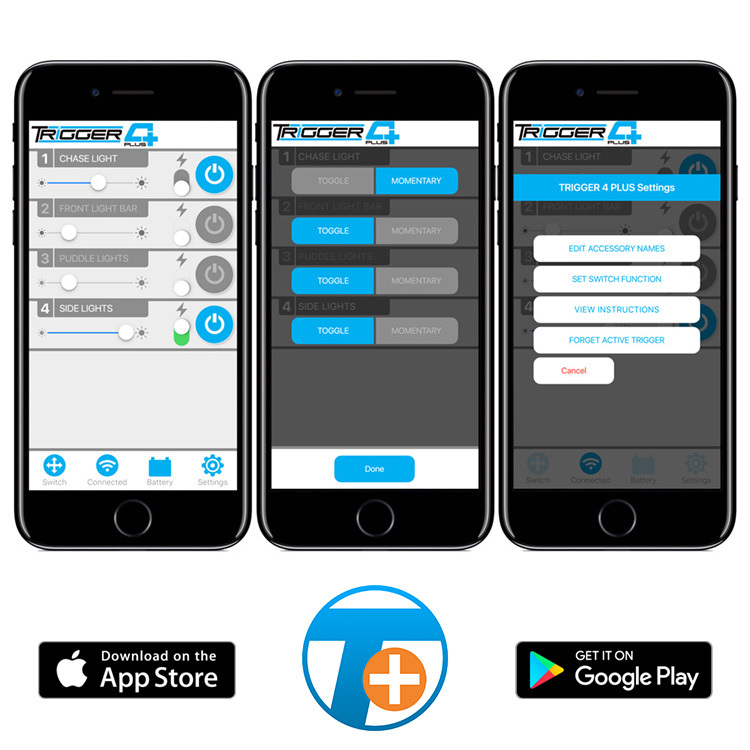 Extend Control With The Trigger ACS Plus app for iOS and Android Devices! The Bluetooth App will control on/off and dimming functions as well as flashing when used with LED or conventional lighting. 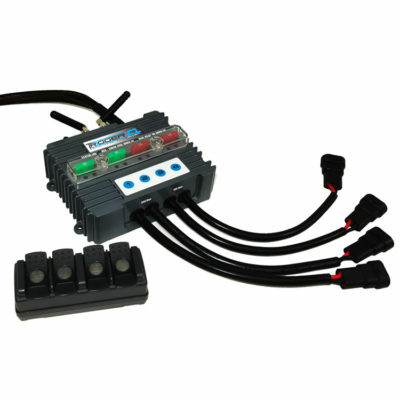 Of course, it’s quick and easy to set up and allows for extended control and user customization. Set switch functionality to either standard rocker or momentary, edit individual accessory names, and monitor vehicle battery voltage when using our VOLT Bluetooth Battery Monitor. 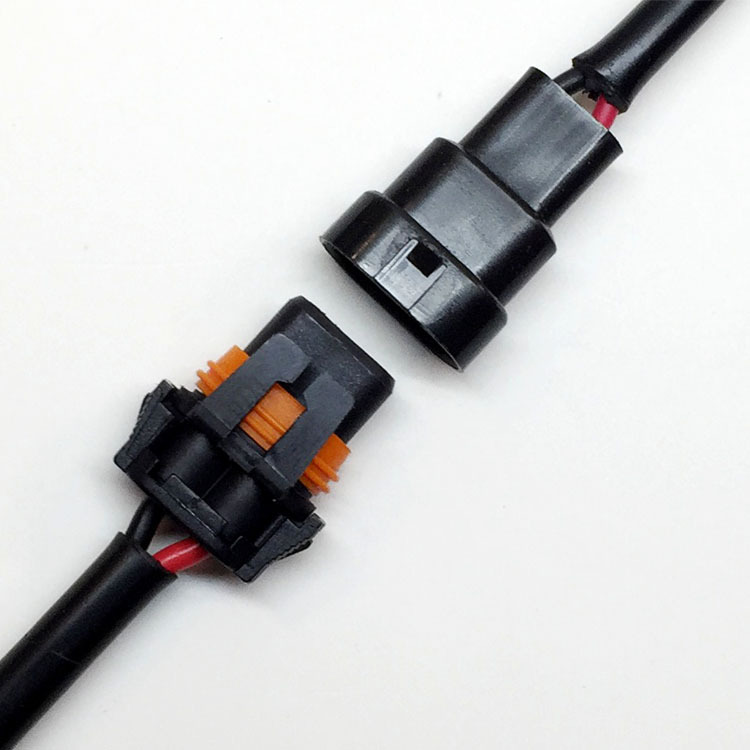 Use the app to “Trigger” lights from outside the vehicle whenever you might need to activate an accessory on demand. Control from your mobile device with our free App! 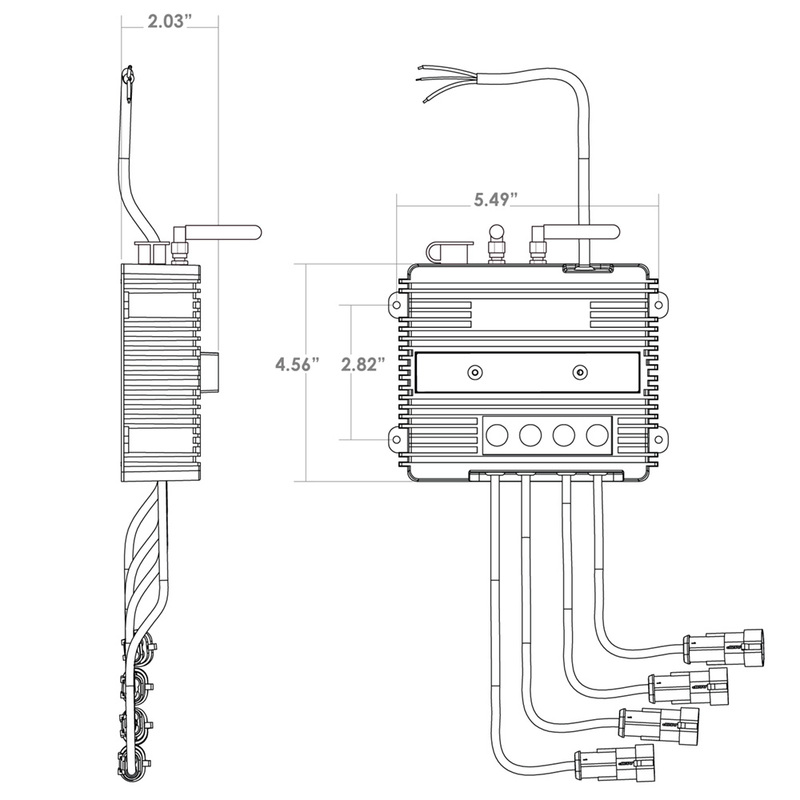 Need a longer wire run? 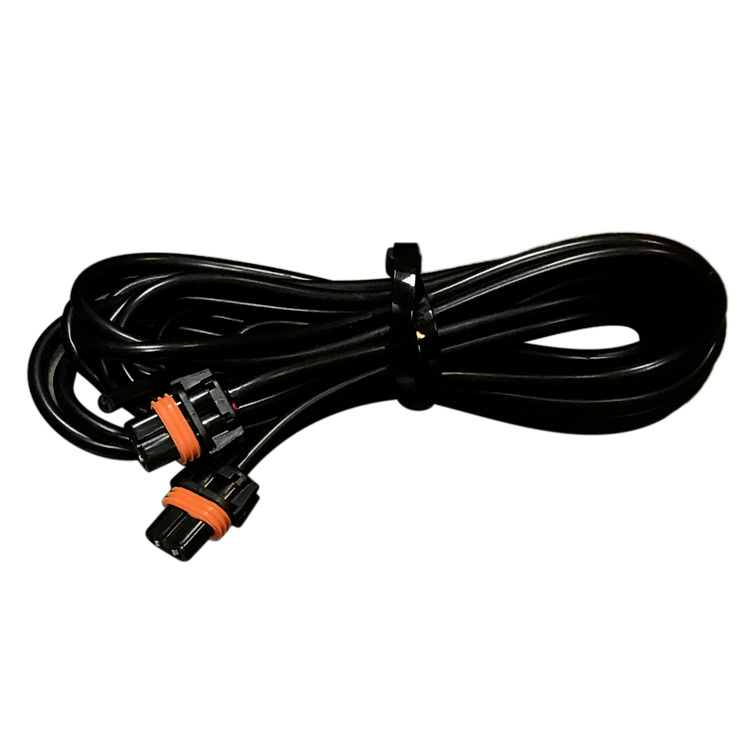 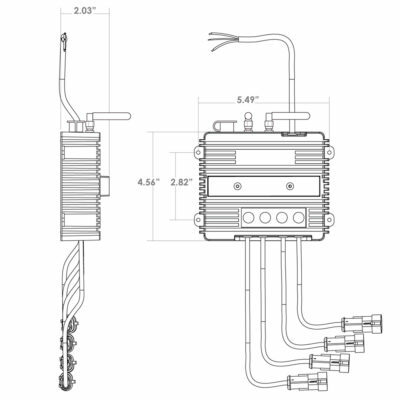 Additional TRIGGER Wiring Harnesses are also available, click here to shop.